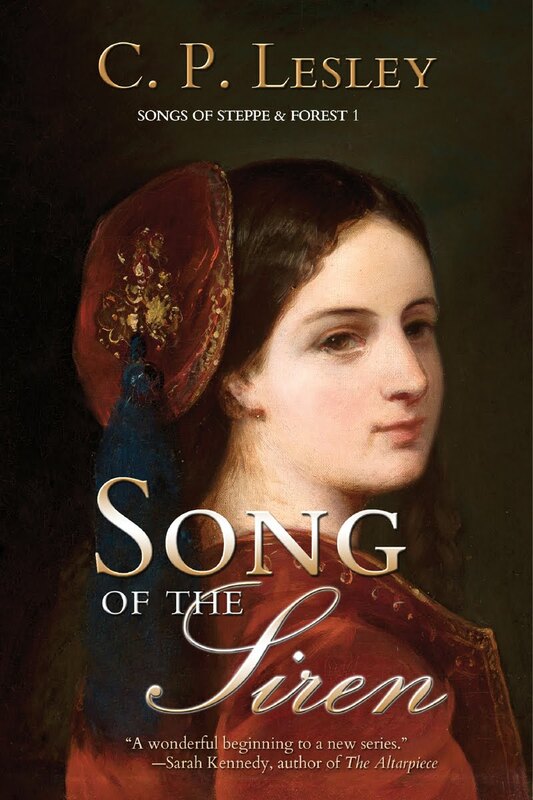 As I mentioned at the end of my previous post, on Friday of last week, I had the great pleasure of interviewing Tasha Alexander for New Books in Historical Fiction. She had many fascinating things to say about her books, her writing career, her vision of Lady Emily as a character, and what drew her to explore Emily’s world. She also talks about Venice, Renaissance families, difficult people, and her plans for Emily's future adventures. The interview went live on Tuesday. You need only click on the NBHF link below to access the podcast. Once there, you can also subscribe to future podcasts, explore the other channels, and—if you feel so inclined—donate to the New Books Network, which operates entirely with the help of unpaid volunteers and on the generosity of its founder, Marshall Poe. The rest of this post comes from the NBHF page. In this case, the crime is murder, and the summons brings Lady Emily Hargreaves post-haste from London to aid and support Contessa Emma Barozzi—née Callum, and the nemesis from Emily’s past—whose husband the Venetian police suspect of dispatching his own father with a medieval stiletto and fleeing with Emma’s inheritance, a cache of illuminated Renaissance manuscript books. Although tempted to refuse Emma’s plea for help, Emily cannot abandon a fellow Englishwoman in the midst of crisis—or turn down an opportunity to overcome the petty dislikes of childhood. Moreover, Emily, through no fault of her own, has amassed a certain amount of experience in solving deadly crimes in London, Vienna, Istanbul, and rural France. With her husband, an agent of the British crown, she plunges into an unfamiliar, sometimes terrifying, but appealing world of art, gondolas, canals, decaying palazzi, back streets, brothels, bookstores, carnival figures, and ancient noble families with unresolved feuds that predate Romeo and Juliet. 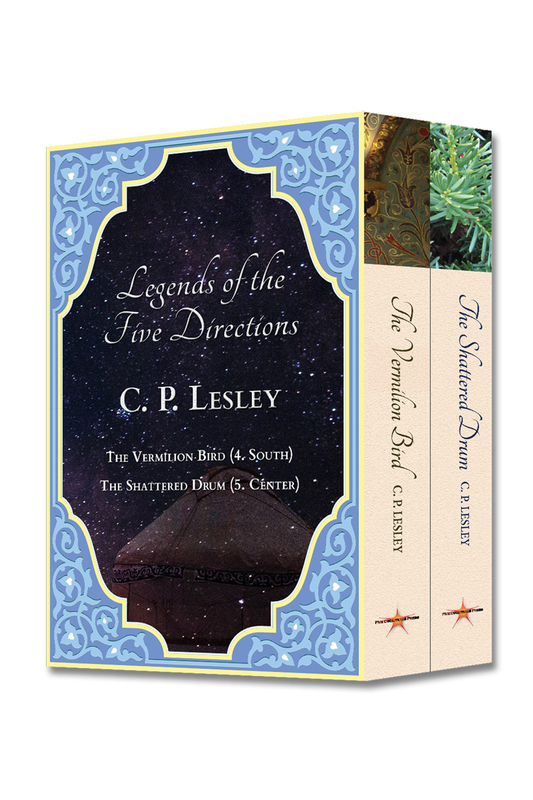 Soon Emily begins to suspect that the key to the mystery lies four centuries in the past, with links to the fifteenth-century ring found clasped in the victim’s dead hand. 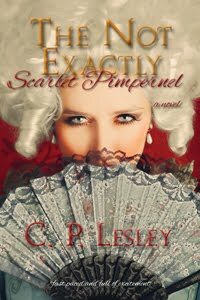 This is the seventh of Lady Emily’s adventures, which began with And Only to Deceive. The next in the Lady Emily series, Behind the Shattered Glass, is due off-press in October 2013. On what Tasha has in store for her characters after that, you will have to listen to the podcast. She is a wonderful speaker: I promise you will not be disappointed. And, of course, read Death in the Floating City. Louise West, a writer/member of Goodreads, recruited me for this blog challenge. I agreed—well, frankly, because it sounded like fun. The rules are simple. Post seven lines from p. 7 (or 77) of my work in progress; thank Louise for nominating me, with a link back to her blog; and talk seven other writers into participating by posting seven lines from the appropriate pages of their works in progress, thanking/linking to me, posting the challenge rules, and finding seven other authors to carry on the chain. A pyramid scheme, yes, but one involving words, not money. If nothing else, readers of our blogs may find other blogs they would like to follow. Some of you may even discover new books to read—or new authors to keep up with. So here goes. First, the seven lines from p. 7 of The Winged Horse (Legends of the Five Directions 2: East). The “he” is Bahadur, leader of a nomadic Tatar horde. 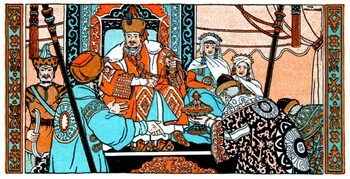 Firuza is his daughter (heroine of the novel), and Roxelana his favorite concubine. Although he does not know it, Bahadur is deathly ill. Through the smoke hole of his tent, he watches dawn break. Good. He welcomed the light. In the flickering lamps, he could barely see. But he could hear. The closest voice belonged to Firuza, who clasped his hand and crouched beside his bed. Beyond her knelt the ring of keening women, led by Roxelana. His indulgence of the night before had left him with a head that throbbed in rhythm with their sobbing breaths. He frowned at the smoke hole. Keening. For whom? He was not dying. What demon possessed these women, that they should inflict their woes on him? 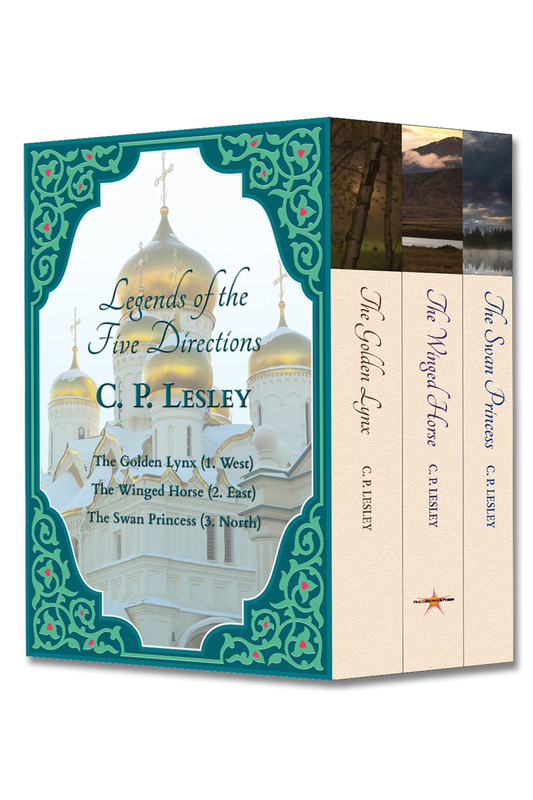 Most of them write historical fiction, like me, but specializing in very different times and places. And many thanks and a shout out to Louise West, who tagged me in the first place! 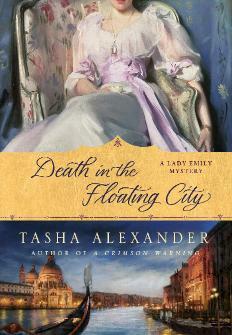 Also, had a fabulous interview today with Tasha Alexander, author of the Lady Emily mysteries, of which the latest is Death in the Floating City, for New Books in Historical Fiction. I'll have more about that next week, after the podcast goes live. So, way back when—July 2012, to be precise—I wrote a blog post called “Pantser Learns to Plot, Courtesy of Storyist.” Pantsers, in novel-writing lingo, are writers who put together a story “by the seat of their pants”—meaning that they jump in and follow the Muse wherever she takes them. Plotters, in contrast, don’t move a muscle until they have a scene by scene outline, clear settings, and well-defined characters. People tend to favor one style over the other, although most authors operate not at the extremes of the continuum but somewhere in the middle. There are other ways of characterizing writers, but for the moment, let’s stick with this one. Each style has its advantages. Pantsers revel in the joy of watching their story unfold but may follow an appealing digression right into a maze, necessitating extensive rewriting. Plotters stay on track better and generally need to do less structural overhaul, sometimes at the expense of serendipity and naturalness. The interesting point to me is how ingrained writing style is. Back in July 2012, I structured an entire outline, just like a plotter. I drew up goal, motivation, and conflict charts for each significant character. I assigned traits to my hero and heroine, deciding she should write poetry and he should have enough interest in poetic forms and expressions to appreciate her skill. To determine the hero’s fate, I outlined a series of culturally appropriate challenges: a wrestling match, a poetry contest, and a racing game called “Kiss the Girl.” I decided the character of the antagonist, gave him a history and a clear motive, complex enough to keep him from being an irredeemable bad guy. I’m really glad I did all that work, because as a result, I know that I have a story. It has a beginning, a middle, and an end. It has character growth. It has structure. Except that I am halfway through the rough draft, and I can see that at most one-third of the original outline will ever make it into the finished novel. The poetry fell by the wayside first, and the heroine seems fine without it (good thing—I never quite figured out how I would master the forms of 16th-century Tatar poetry). The wrestling match turned into a single punch to the jaw, the race into a squabble between lovers not yet ready to admit how they feel about each other (although if my characters give me half a chance, I’m determined to bring “Kiss the Girl” back in—it’s much too good a custom to toss aside). 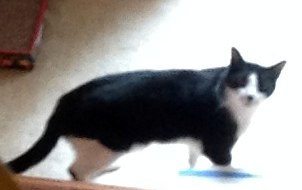 Even the antagonist has shifted as I’ve made his acquaintance and decided that I have long-term plans for him. I’m going to have to build up someone else, who has been lurking in the background waiting for the right moment, and complicate his character—or hers. Because the hero needs someone to defeat, and if he defeats the original antagonist as thoroughly as the plot requires, there go the long-term plans. This happens, I’ve concluded—and if you write by the seat of your pants, you’ll know exactly what I mean—because I discover my characters by watching them in action. I can set out things for them to do and reasons why they should do them, but until I see them in motion, I don’t fully grasp what kind of people they are, how they will react to this opportunity or that obstacle. They constantly surprise me. My critique group constantly surprises me, too (and believe me, I’m grateful), forcing me to rethink by asking, “Why would X do/say that?” Then I stop to wonder, and in wondering I uncover new facets of the characters’ lives. Sometimes I find out why X did or said whatever I wrote down. Other times, I realize X never could say or do that under the circumstances in which I have placed him or her, and I have to figure out what X would say or do. Even then, I have to write it down and see if it fits. If not, I throw the scene out and try again. Through such fits and starts, I gradually discern who the character is. This post is not a manifesto on how to write. I love reading about the craft of writing, but in the end what works, works. Different people have different styles. And as I mentioned above, I’m glad I learned to plot. I’ll do it again for my next novel, and for every novel after that. It gets me over blank-page syndrome and reassures me that this book will end up somewhere other than a blind alley. If less than 50 percent of the details make it into the story—well, extra plot points and character traits always come in handy. But however much I may appreciate plotting as a skill, I have to accept that in my heart I’m a pantser, and I probably always will be. For me the fun of writing lies in the discovery of a world I didn’t suspect existed, one populated by fictional people with lives and ways of thinking that I cannot always predict, because they emerge from my subconscious mind, a trove of magic and mystery. And I’m not just okay with that, I’m happy with it. What about you? Do your fictional people ever go their own way? I had no sooner published my last post, “Achieving Stardom,” when my radio came on Sunday morning—as usual set to Krista Tippett’s weekly interview show, On Being. As luck would have it, Krista was interviewing Seth Godin, an Internet pioneer who has not only fascinating ideas on marketing but the sales history to support them. He has turned several books into Amazon.com bestsellers without either traditional publishing props or the contemporary sins of spamming his social network friends or faking reviews. You can find out more about the show, listen to it online, or download the podcast at The Art of Noticing, and then Creating. I hadn’t initially intended to write a follow-up to last week’s post. But listening to Seth and Krista confirm some of what I had written, it occurred to me that I had not addressed a central question. Yes, it makes sense to trust the process, to accept that it takes longer than most of us might like to get the word out and find loyal readers rather than engage in deceptive or dysfunctional tactics born of desperation. But how do we know our faith is justified? So, in a tip of the hat to Krista, I have titled this post after the original name of her show, Speaking of Faith. Let me say up front that I have no guru-type answer to my question, which is on the surface a circular one. Success, sooner or later, justifies an author’s faith that success will arrive. But the standards that determine success vary. Beautifully written books may not sell well—or they may win a major award and become bestsellers. Terribly written books may get million-dollar contracts but tank in the market—or not. Some indie books I have read went to print too soon (keep in mind that all such judgments are subjective—these books appear unpolished to me). Others make me wonder what had to go wrong with publishing that an agent and editor didn’t snap them up. So what’s your standard: good, famous, moneymaking? And how do you determine if you’ve met it? What complicates the question of faith is a truth about writing that is not universally acknowledged, although most writers recognize it at some point in their careers. Good writers, experienced writers—like most expert artists—make the craft of writing look simple. As a result, readers and newbie writers think that anyone can write a novel, just as beginning dancers expect to whip off a triple pirouette after two or three classes. 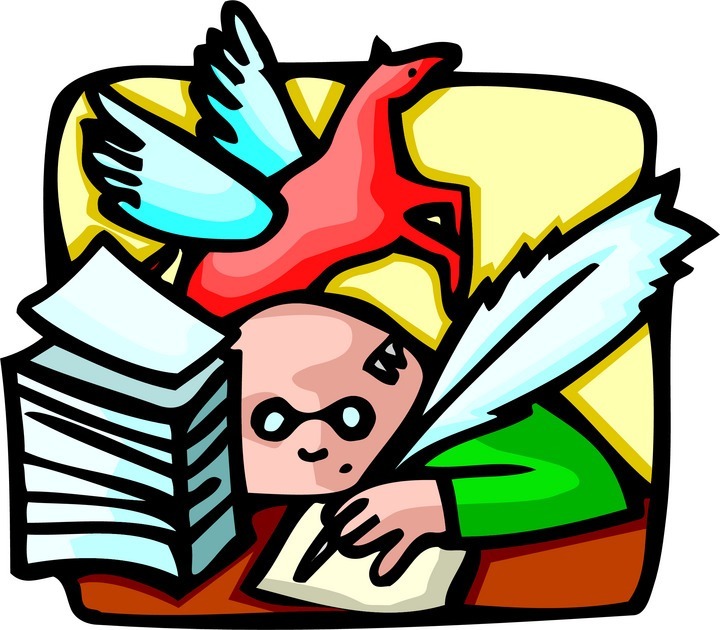 My first novel will see the light of day only if I run out of other stories and decide to rewrite it from scratch. It was terrible, but I had no idea. I sent it to agents and was amazed when they rejected it. Now I know why. Last time I tried to read it, I couldn’t get past chapter 3. I tell this embarrassing story because it applies to every beginning writer. Some novels need to die. They don’t merit the leap of faith that will keep them in circulation. But that is not the same thing as saying they never deserved to live in the first place. Because the takeaway from this post is: everyone writes bad novels at first. There is no other way to learn the craft. You have to write and read about writing and show your work to other writers and rewrite and rewrite and rewrite. And if the first book is horrible, let it die. Start another, then a third and a fourth until you produce one that works. And that, I think, is where the issue of faith comes in. It’s not only a question of having faith that a good book will find its market. Even more important is having faith that you, the artist, have the capacity to create a book that deserves a market. Trust that you can write a bad novel, send it out, have it fail, and not give up. Believe that the next novel will be better, and the one after that better still. And one day, even if you never spam your friends or fellow readers and you refuse to fake reviews for yourself or others, you will write a book that other people want to read. A book that people will pay to read and recommend to their friends. Which in the end is what you want, isn’t it? To end on a lighter note, if you’d like to see the reviews system in all its glorious, untrammeled goofiness, without spamming and without manipulation—other than the input of those reading the reviews—type the words “bic lady pens” into the search box on Amazon.com. I haven’t laughed so hard in years. In their wacky way, the reviews are a triumph of human ingenuity over machine logic. And if you’d like to know what I mean by that, leave a comment. Thanks to Seth Godin and Krista Tippett for the inspiration. News Flash: Historical Fictionistas, a group on the Internet book club Goodreads, has chosen The Golden Lynx as its Featured Author Group Read for March 2013. Many, many thanks to the group moderators and all the members who voted for my novel. May you enjoy reading the book at least half as much as I enjoyed writing it! Image purchased from Clipart.com, no. 21985679.